Registration for the 2nd Annual Cascadia Poetry Festival is open! It will take place May 1-4! at Seattle University, with workshops and readings at Springstreet Center, and pre-events around the city. many more panel discussions, workshops, and readings. It will also include a regional small press fair, a one night ‘beer slam’ with 8 regional poets sponsored by 8 regional microbreweries and several pre-events hosted by Naked City Brewing and others. All weekend ‘Gold Passes’ include access to all events for $25 and students register FREE. All college/university level students can also gain a 1 credit humanities credit offered through Cascadia Community College. Students can register here for free: http://cascadianow.org/cascadia-poetry-festival-student-registration and if you’re interested in getting the academic credit, just click the box, and we will get back to you with more info in the future. This is a great event, and is completely volunteer run and supported. Money from tickets and sponsoring breweries, publishers, community groups goes directly to facility costs, travel expenses for participating poets, and hopefully even a small stipend for their time. We’re still looking for community sponsors! We have a whole range of ways to sponsor, and lots of great benefits. We need breweries for our regional beer slam, small presses for the fair, and in addition, community sponsors and invidual contributions are very welcome! 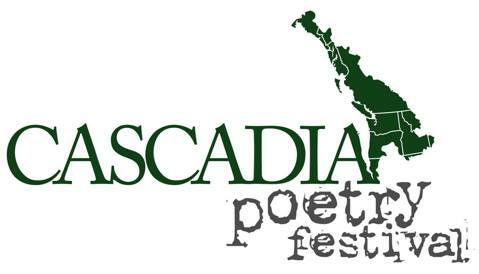 Contributions can be made through the Cascadia Poetry Festival page (paypal), by check, or you can contact Paul Nelson directly a pen@splab.org or (206) 422.5002 to arrange sponsorship or for media inquiries. A big thank you to Seattle University and all of our sponsors and contributors this year! it’s an amazing bunch. And lastly, reserve your calendars, CPF III is already slated for Victoria BC in 2015…. !